On Saturday 13th October Anna Kennedy Online celebrated its 3rd Autism Hero Awards event that took place at the outstanding Radisson Blu Portman Hotel in Central London. What is the Autism Hero Awards? The Autism Hero Awards was handed over to Anna Kennedy OBE by its founder Jo Kirton Salmon three years ago where Anna presented the awards for Wales. Jo wanted to hand over the awards to Anna, so she could expand the event and share the event across the UK. Anna and her team from Anna Kennedy Online wanted to create an opportunity to showcase and celebrate the excellence taking place in the world of Autism. This is a unique way to celebrate and showcase accomplishments as well as enhancing Autism awareness and acceptance. Anna Kennedy OBE shared “Every year, we seek to acknowledge the outstanding contributions and achievements of individuals, teams and organisations who have proved excellence, dedication and commitments to impacting lives that have been making a real difference in the world of autism.” This honourable occasion was a unique opportunity to acknowledge the outstanding contributions and achievements of individuals, teams and organisations who have proved excellence, dedication and commitments to impacting lives that have been making a real difference. Winners were chosen by a panel of distinguished judges who were Kacey Ainsworth , Vicky Grammatikopoulou , Jo Redman, Dr Pam Spurr, Chris Browne, Chris Wild and Manar Matusiak. 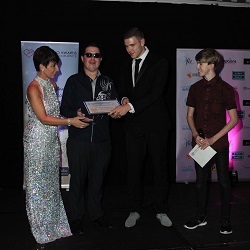 Amongst the room full of heroes, there were celebrities present which included Kacey Ainsworth, Anthony Costa from legendary band Blue, Chris Wild – author and actor, Stephen James from Love Island and Nicola Duffet award winning actress. The winners were all presented with their awards by sponsors, celebrities and judges. The judges shared their experiences on how tough it was to make their choices as they read such compelling concise biographies of the individuals whom were nominated that not only impacted people’s lives and making positive changes selflessly. 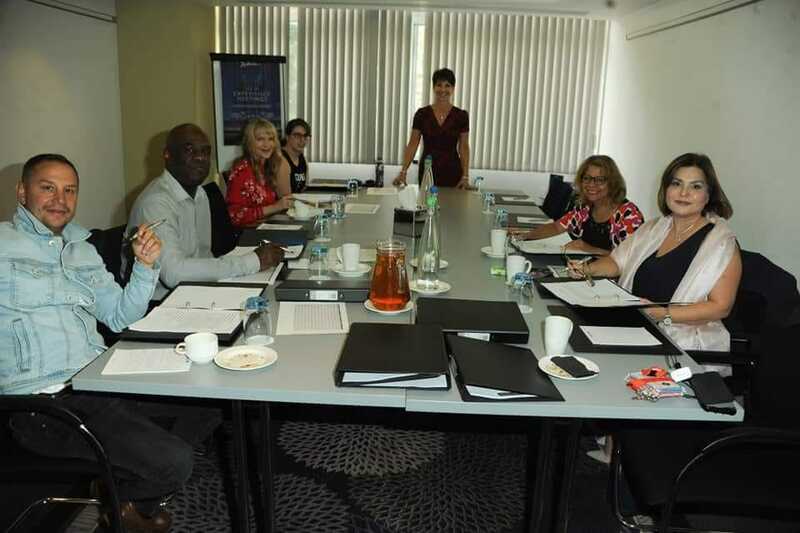 Dr Anna Kennedy OBE said: “The Autism Hero Awards recognise the extraordinary achievements of people that show dedication, commitment and courage of all the nominees and winners is inspirational. The awards are a great way to celebrate these accomplishments and unforgotten heroes and what life changing impacts are made on people’s lives”. The evening celebrations commenced with a red-carpet welcome drink on arrival, a delicious three-course meal, followed by special announcements, the announcements of the winners which were followed by a DJ, entertainment to celebrate every finalist. Pineapple Performing Arts opened the evening with an outstanding dance routine, there were three exclusives artists Matthew Shelton, Calvin Glen and Charlotte Fieldson whom were all performers at Autism’s Got Talent star and once again received a standing ovation. The finalists were interviewed by Women’s Radio, UK Health Radio and London Post whom were also present. The evening was a huge success with emotions and gratitude hearing the obstacles and successes of each finalist through sheer determination and dedication. More details on each winner to follow soon! Last night at the AKO Awards was a lovely evening celebrating the extraordinary parents/carers/school staff/nurses and members of the public who do so much to support the autism community. Anna Kennedy does a fantastic job of bringing us all together and making every single person in the room feel worthy. For Calvin and for me as his mum it is the only place we can truly be ourselves without judgement. Everyone in the AKO family just gets it. Listening to stories again last night there is still so much work to be done to raise awareness and promote equality of opportunity. It makes me sad to hear of eight year old children still facing the same discrimination and challenges as Calvin faced ten years ago. I hope together one day autism will truly be accepted for the gift it is. I know everyone in that room will keep working towards full acceptance as will Calvin and I.
Paula McGowen who received a Special Recognition Award as she has dedicated her life to campaigning for better health care for people who have autism and learning disabilities after losing her son due to lack of training within the NHS. Her petition was supported by Anna Kennedy Online and reached parliament who will debate this petition on 22 October 2018. Paul Isaacs an autistic trainer, speaker, consultant and blogger who has been hosting workshops for Anna Kennedy Online was announced as the UK Ambassador. Click here for more details about Paul. With all these continuous and very exciting developments of the charity, it is fundamental in raising Autism awareness with remarkable advocates on board as the positive way to reach out to the wider audiences and empower them with knowledge and strength. All proceeds for the evening were donated to the Anna Kennedy Online Charity to continue its dynamic work in raising Autism awareness within society. What a wonderful evening, so proud of Liam and all the nominees, such inspiring people who all deserve recognition for everything they do and achieve. I’m so grateful for the opportunities Anna Kennedy has given Liam, also the friendships that have been made not only for Liam but myself too. The support within the AKO charity is priceless, people that truly understand, accept and support each other without judgment, a place where perceptions and barriers are removed so each and every person can shine. I am very honoured & feel like my heart has been lifted! It’s a massive pick up in emotions especially after a bit of a difficult period in my life. Like my heart has been lifted because I have been recognised for good things in the world of autism & beyond!